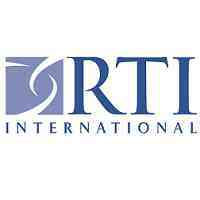 RTI International is accepting applications from qualified staff for the USAID/ Tanzania Tusome Pamoja Program (20162021) in Tanzania. The 5-year program is assisting the Ministry of Education to replicate and scale up reading, writing and arithmetic improvement interventions in schools with an emphasis on curriculum and materials development for Grades 1-4 in Swahili and English. On behalf of the USAID/Tanzania, RTI is working with regional, district, and ward personnel to implement reading, writing, and arithmetic reforms in four mainland regions of the country and Zanzibar, with support given to approximately 3000 public primary schools in the selected regions. Additionally, Tusome Pamoja is implementing activities to engage communities and parents to further the goals of improved student learning outcomes. The Monitoring & Evaluation Assistant is responsible to provide support to the design and execution of data management and analysis plans for monitoring, evaluation and Learning for Tusome Pamoja Programme. He/she will serve as the primary resource to support the M&E team in their assurance of high-quality data and continuously perform in-depth data analysis; management of continuous professional database (CPD), data visualization and interpretation to increase data use for decision-making and communicate results of the programme. He/she will also support the data analysis for learning activities including training, assessments, evaluations, and surveys as they arise. To apply please email your updated CV/Resume and Cover Letter only to tusomepamojahr@gmail.com. Application deadline is April 19th, 2019. Please indicate the name of the position that you are applying for in the Subject Line of your Application. Only short-listed candidates will be contacted. "No applicant will ever be asked for any payment either to secure a role with RTI International or as a follow-up to having been awarded a position with RTI International. If anyone ever approaches you asking for any such payment, please immediately email ethics@rti.org"